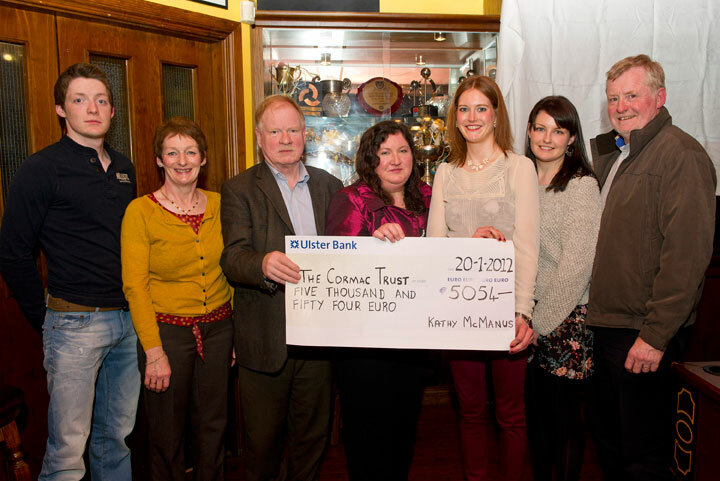 Kathy pictured here with family members, presenting a cheque for €5,054 to Bridget and Brendan McAnallen of The Cormac Trust. Kathy raised the money on an organised week-long cycle round Vietnam in October 2011. This entry was posted on Friday, September 21st, 2012 at 4:31 pm	and is filed under News/Events. You can follow any responses to this entry through the RSS 2.0 feed. Both comments and pings are currently closed.